Keep flies and mosquitoes from disturbing your meal or special occasion. Sets up easily over patio umbrellas. Large zippered entrance for easy access. See-thru mesh. Cinch top adjustable closure for a custom fit. Lightweight. 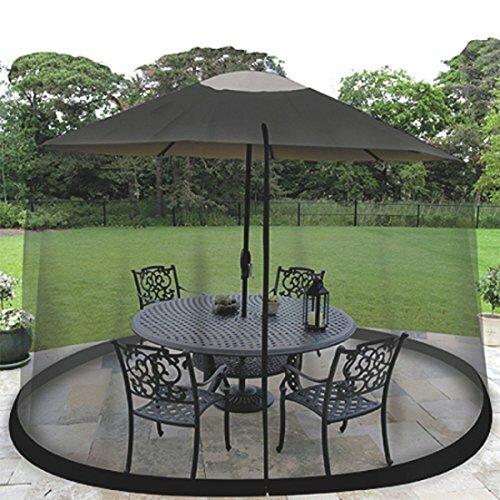 Sets up easily over 11 foot patio or garden umbrellas. Install on the open umbrella, and remove before closing umbrella.